Nearly a year ago, I quit a thriving career in public relations to take my business, blog and brand full time. After years of planning, hustling and dreaming, I took my future into my own hands on December 17 when I resigned from a safe and comfortable corporate job working in travel and tourism public relations. For the past 12 months, I’ve invited you along for the ride, sharing a glimpse behind-the-scenes of what it’s really like to run your own business in the Becoming CEO series. That’s why today, I want you to be among the first to know what’s coming next. I have some major news and updates to share with you. Yes, I put the pieces in place to succeed, but ultimately, I still took a giant leap into the unknown, trusting that somehow, it would all work out. When I started my business, I truly started from where I was with only the tools I had in that very moment. I didn’t have business cards, I didn’t have a dedicated business website. I didn’t have accounting software. I didn’t have a long list of clients. One of the BIG things I didn’t have when I quit my job? A name for my business. For awhile, it wasn’t even a problem. Weirdly enough, no one ever even asked me what the name of my company was. But still, it bothered me that I didn’t have an “official business name” to make me feel like a real boss lady. When I decided I wanted to file for my LLC (see below! ), I knew it was finally time, once and for all, to choose a company name. After all, that’s kind of the first piece of information you need to provide when you start the paperwork. I started brainstorming company names, but found myself stuck. It was important to me that my full name be prominently included, after all, that’s how people know me, how clients find me and how I’ve built my brand. 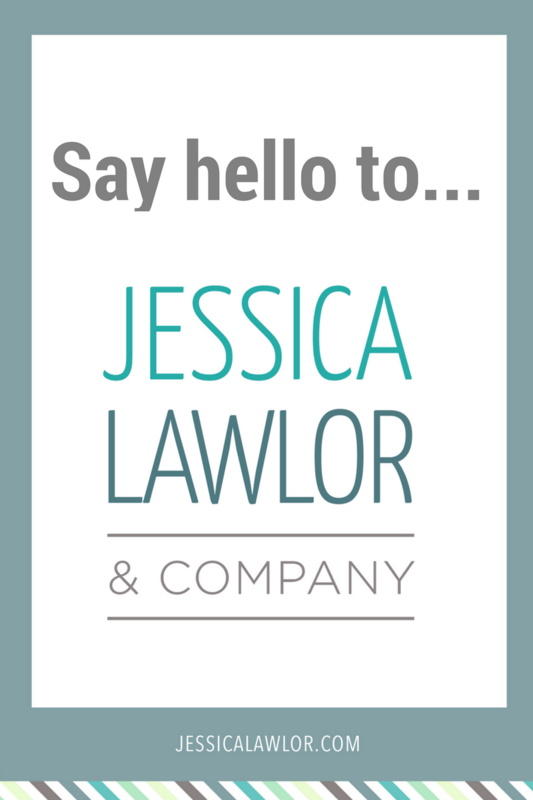 I toyed around with lots of name variations: Jessica Lawlor PR, Jessica Lawlor Communications, Jessica Lawlor Media, Jessica Lawlor Creative…the list goes on. I don’t just do PR. Communications feels vague. Creative makes it sound like I’m a designer. Media feels like I work in broadcasting. Jessica Lawlor & Company was just another random name on the list. Rachel had envisioned something I hadn’t even yet allowed myself to dream about yet. My company name. On an office wall. And in that moment, I knew. That was my company name. I felt it in my gut. It felt right. Jessica Lawlor & Company. JL&Co for short. It prominently features my name, expresses the fact that it isn’t JUST me building this thing and leaves plenty of room for growth. Back in February when I officially stepped out on my own, I prided myself on being a solopreneur. I can do this all by myself, I thought. And yeah, sure, I *can* do it all by myself, but why would I want to? AND, wouldn’t my work be even better if I brought on other talented professionals to help? The first person I thought of was my colleague, Rachel. Rachel and I met when she interned for me at my old job in the spring of 2014. She was the best intern I ever had (and I had nearly 30 throughout the course of my old job), and she eventually was hired by the organization. We worked together for two years there. Around the same time I quit my job, she left the tourism office to work for an advertising agency. 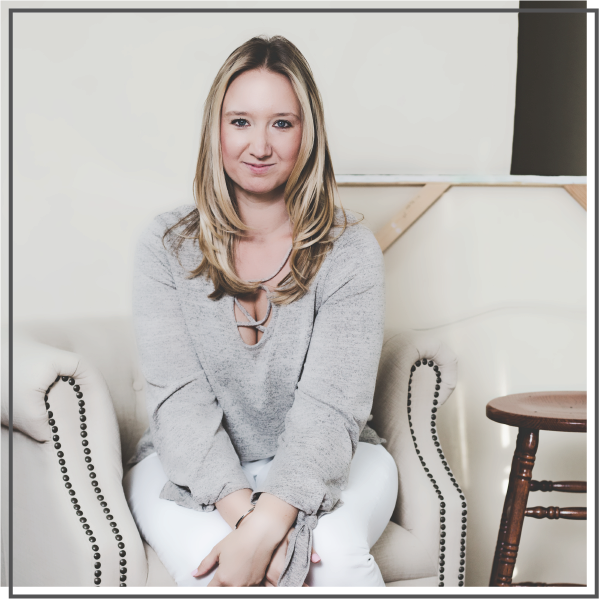 When we worked together, Rachel always expressed interest in blogging and one day starting a side hustle of her own. The hiring process was quite simple…I texted Rachel, “Hey! Do you want to be my first team member?” and she responded, “OMG YES!! !” with a million different emojis. Rachel has been working on a freelance basis as part of Team JL&Co for two months, and my business is already transformed because of her. She brings some serious expertise in social media, email marketing, website design/copy and more to JL&Co. Most importantly, Rachel has made my life and business 1,000x less stressful. I won’t lie; I was on the verge of a mini breakdown before she came on, trying to juggle way too many balls in the air. Sharing the workload with Rachel frees up my time to focus on bigger picture items, plus, it’s SO nice to have someone else feel just as invested in the success of my business as I do. Rachel is only team member #1. I can’t wait to keep building. Maybe one day, that vision of my name on an actual office wall will become a reality. Running a business is no joke. There’s a lot to think about and a lot to do. When I was first starting out, I kept my head down for months and months, doing the work, never looking up to breathe or even think about what my business might look like one year from now, five years from now, ten years from now. I’m finally in a space where I can look up and look forward. And things are getting legitimate. I filed for my LLC. That’s Jessica Lawlor & Company, LLC to you 🙂 This was an important step to help legitimatize my business and an important step in separating my personal and business assets. I opened a business bank account, something I should have done immediately upon starting my business. With Rachel’s help, I revamped my services page. We’ll be continuing to make updates to the website to reflect the new business name and direction (a full-on redesign is somewhere in the future), but we’re taking it slow. I’m starting to understand my strengths…and where I should be focusing my energy and attention. According to my last Becoming CEO monthly update, more than 70 percent of my income comes from content management (managing the blogs/websites of others). Clearly, this has emerged as a core service, and one Rachel and I are going to go after more of in the coming months. I’m going to get proactive about going after my dream clients. I’ve been very fortunate that I haven’t had to actively sell myself and my services over the past year (hey hey, personal branding again! ), but I know that in order to grow my biz to where I want it to eventually be, I need to get out there and sell myself. Rachel and I are putting a plan in place to do more new business pitching in 2017. I’m going to focus more on the blog and blog/brand initiatives in 2017. Now that Rachel is on board to help with client work, I’d like to turn my attention back to *this* brand and work on the ebooks and courses I’ve been dreaming about for years. One year ago, if you told me I’d be here, writing this blog post, sitting in my own office in my beautiful apartment, after a long, but satisfying day of doing what I love, I would have told you that you were crazy. Yes, I believed in myself, but I was also a bit skeptical. I had no idea what the future would look like. And hey, I still have no idea, but I continue to believe in myself and believe in my dreams. I’ll close with the same quote I shared when I announced that I quit my job. It’s a quote that drives and inspires me every single day. I’m going to continue to chase my dreams. Let’s get to it. Thank you for being part of my journey <3 It means more to me than you could ever know.